By buying our Website traffic from numerous niches in Germany or worldwide you not only generate new visitors, customers, better rankings but above all real web traffic. There are many companies that also sell homepage traffic, but not all of them will be beneficial to your website. We only deliver high quality visitors to your website at a reasonable price for both sides. Buy website traffic now from all over the world for your website or blog. Immediately, personally and securely with over 100 Countrys. Is the traffic safe if I use Adsense? Our traffic is safe if you advertise on your website with Google Adsense. When you buy traffic, you do it with care. I have placed an ad on Google. Is this a problem? If you are running a paid Adwords campaign, there is no danger to your website. But in order to be able to deliver the traffic on time, you should deactivate it during delivery. How can I check the visitors after the traffic purchase? We send you a Bitly link where you can track the origin and number of visitors. To make sure you get the right traffic. Can my website be penalized on Google if we buy traffic? We can guarantee that in more than 7 years, no website has been penalized for our activities. Do you work with pages that are blocked for Adwords or Facebook? Yes. We work independently of Googfle Adwords or Facebook Ads. So if you have a company that is not allowed to advertise on Google or Facebook, we can help you grow. Where does the traffic I buy come from? The source, our visitors is an extensive stock of own websites and various partner networks, which daily show high numbers of traffic. With a specially developed algorithm, the visitors are specifically forwarded to the corresponding customer websites. We have over 300 niches to ensure that you get the right traffic. 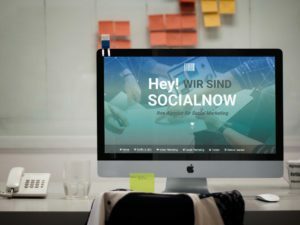 Does Socialnow belong to Google? Clearly no! Socialnow doesn’t belong to Google. We do not represent any of the social networks represented here that are the subject of our services. All trade names and logos are property of the respective network and/or the associated company! Buy cheap homepage traffic at Socialnow. We are one of the leading providers of targeted traffic. Use our traffic network and take your website to the next level. We deliver daily to millions of visitors to our customers' websites. We make it easier for you to buy traffic conveniently. We deliver targeted traffic that matches your products and services. You receive traffic that identifies with your brand and increases the chances of increased sales. You get over 200 goals to choose from to reach your target audience. That means you can choose from 200 hundred target group spots. Increasing traffic to your site can be a challenge and that is the reason for our existence. Our job is to help you get the most out of your efforts. Traffic alone determines how much you can achieve with your website, be it educational, corporate, personal blog or business website. Traffic is the key to achieving your goals. Website owners are constantly looking for the best places to buy website traffic, not only traffic, but also cheap website traffic. Often the existing budget is too small to find good traffic at affordable prices. Socialnow is your contact for HomepageTraffic. Socialnow has been on the market for more than 7 years to acquire traffic for customers' websites. Maybe you're wondering why exactly you should buy traffic. Well, the answer's simple. It can take several years for interest in your website to grow. But why wait so long? Finally, there is no guarantee! You can start today and now to maximize the productivity of your website when you buy traffic at Socialnow. As the name Socialnow already says, you can buy targeted traffic with little effort. Does your website/blog have world-class articles, or a great e-book? You may have irresistible products to sell and services to offer, but it takes forever to reach millions of potential buyers. Regardless of the content of your website, you can always buy website traffic, cheap website traffic that is real and you can increase your reach in this way. Try Socialnow and experience the peace and quiet that renowned website owners enjoy as Socialnow does the hard work for them. Over 400 niche markets and the choice between 100 countries. Already from €4 per 1,000 visitors. Increase the popularity and reputation of your website.